Privacy, your personal information is protected by our privacy guarantee. SWPS.com - Southwest Public Safety has the best price on the internet on Police, Fire & Rescue emergency equipment. 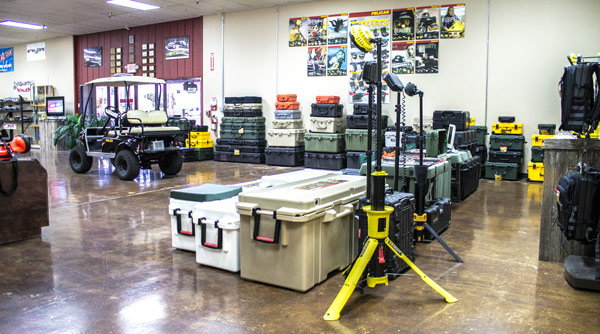 Local customers in the San Antonio area, visit our stocked showroom. 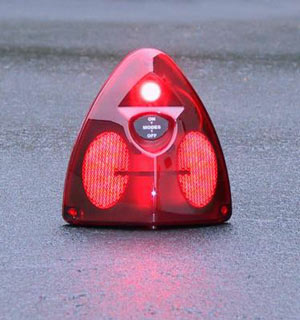 San Antonio, TX-based SWPS.com is an Authorized US Distributor for high quality brand name products from Able 2, Whelen, Code 3, Streamlight, Havis, SafetyGear USA Hi-Viz Garments, Pro-Gard, Rolatape, Pelican Flashlights & Cases, TerraLUX LED Upgrade Kits, VISCO Visual Image Police Car Graphics. We also sell & outfit used reconditioned Ford P71 Police Interceptors & Emergency vehicle equipment. 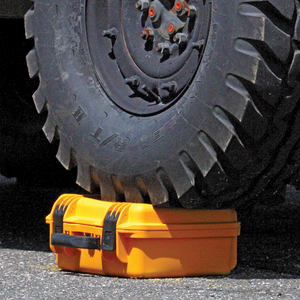 SWPS.com - Southwest Public Safety is a leading distributor of Pelican Protector Cases like the FAA approved carry-on 1510 Proctector Case and 1510LOC Laptop Overnight Case, 0450 Mobile Tool Box, Pelican EMS Cases, 1780 Gun Rifle Transport Case, Pelican's Memory Card Holder Cases, Pelican iPod Cases. We also offer Pelican Flashlights like the 7060 LAPD Tactical Dual Switch LED Flashlight and Full-Sized 8060 LED Flashlight, Pelican's 9430 RALS Remote Area Lighting System. 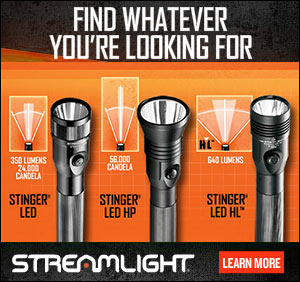 SWPS.com is an Authorized Streamlight master stocking distributor and offers the full line of Streamlight products like the Stinger LED and StingerDS LED Dual Switch Rechargeable Flashlights, PolyTac Tactical Flashlights, Strion C4 LED, Survivor LED Rechargeable Flashlights, Rechargeable H.I.D. High Intensity Discharge Litebox, Sidewinder, Microstream, and Stylus Pro. 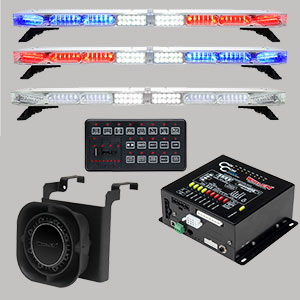 We are a distributor of emergency vehicle equipment manufactured by Whelen such as the LIN3 Linear LEDs, TIR3 LEDs, AVN1 Avenger Single Linear LED Deck/Dash Light, AVN2 Avenger Dual Linear LED Deck/Dash Light, Dominator LED, Howler Low Frequency Siren System, Raider Linear LED, SA315 100watt Speaker, 295SL100 Siren, S690CCCC Hide-a-way Strobe Kit, SLPMM Super-LED Slimlighter. E-mail is the best way to contact us: sales@swps.com. We check e-mail every day and respond as fast as we can. You should have a reply within one business day. Since 1983, public safety professionals choice for equipment. Your satisfaction is our top priority. We want you to be completely satisfied with your purchases. SWPS.com protects the privacy of its customers. We share only that data necessary for validation of credit transactions, verification of identity, shipping and billing addresses and obtainment of payment. We currently maintain a mailing list for our monthly newsletters. Remove instructions are available in each newsletter. Customers doing business with SWPS.com, give implied consent to implementation of these policies. SWPS.com does not share individually identifiable personal data obtained through the order process, other than credit experience, with any other entity. Protecting your personal information / privacy is very, very important to us. We hate spam! SWPS.com does NOT sell or rent our customers names, addresses or e-mail addresses to anyone. We send out e-mail notifications on products, special promotions, etc. from time to time. If you ever get e-mail or newsletters from us and you DO NOT want to continue receiving these messages, simply reply with the word REMOVE in the subject line and we will remove your name from our e-mail lists. A Secure Server handles all orders placed through our on-line catalog hosted by the Yahoo! Shopping platform, you are one of thousands of users every year who choose us to shop with! All of your personal information including credit card number, name, and address is encrypted via Secure Socket Layer at the checkout (SSL encryption is the industry standard and among the best software available today for secure commerce transactions), so that it cannot be read as the information travels over the Internet. Your credit card information is processed via a very secure payment gateway. SWPS.com is hosted by Yahoo! and so you are automatically be covered by the Yahoo! Buyer Protection Program which provides up to $1000 of fraud protection. We strive at providing a safe and easy way to purchase online or offline. Our online shopping system is one of the most reliable and secure systems available in the industry today, but if you want to place your order via toll-free phone or fax, please contact our sales team @ 210-590-9363 and feel free to place your orders the way that makes you most comfortable. A secure server handles all orders placed through our on-line catalog. Credit card orders are accepted on-line, by fax or, by phone. SWPS.com does not ship any orders outside of the United States. Ordering over the internet is safe, easy, and totally secure. When you order from SWPS.com over the internet, you connect with Yahoo Store's secure server which protects your credit card and personal information. Internet Explorer users should see the LOCK (secure) symbol when you check out. Firefox users should see the unbroken key symbol when you check out. Shortly after placing your order on-line, you will receive an e-mail confirmation of the order you entered on-line. Please note: some quantity discounts, free shipping on certain internet specials, and shipping costs on international orders may NOT be shown on this confirmation, but WILL be reflected on your final invoice. PAYPAL customers, please note that when you pay for your order using PAYPAL services, it is an instant transaction, just like a wire transfer. The funds are sent at that time, not billed at a later date. Our phone sales hours are from 8:00 A.M. - 5:00 P.M. Central Time. Monday - Friday (except for major national holidays). Voice Mail messages are accepted 24 hours each day, seven days each week. Call 210-590-9363. Our fax number is 1-210-590-9482. Call Chris Snocker at 210-590-9363. Prices for the vehicles are posted on the vehicle page. Only the cars posted are in stock and for sale. Requests for particular vehicles can be emailed to Chris Snocker. We use UPS and FedEx to ship to most addresses in the continental US. If you are unable to receive packages using either of these services please let us know when you place your order. Please feel free to contact us for a shipping estimate. Pictured above is our UPS Ground shipping map. Orders shipped via UPS Ground will take from 2 to 7 business days (depending on where in the US you are located) for transit, weekends excluded. Orders shipped UPS 3 Day Select will take 3 business days from date of shipment. Weekends excluded. Orders shipped UPS 2nd Day Air will take 2 business days from date of shipment. Weekends excluded. Orders shipped UPS Next Day Air will take 1 business day from the date of shipment. Weekends excluded. Saturday delivery is only available on Next Day Air shipments and additional fees apply - $10.00 per shipping label. Please note that the shipping transit days do not include the day the order was shipped. For example, if your 2nd Day Air package was shipped on Monday, the item would not arrive until Wednesday. For a Tuesday delivery on an order shipped on Monday, you would need to ship the item via Next Day Air. 3 Day Select packages shipped on Monday will arrive on Thursday. Also shipping transit days do not include Saturdays, Sundays or Holidays. The Shipping Method (i.e. Next Day, 2ND DAY or 3 DAY) applies to the date your order is ready to ship, not from the date your order is placed. SWPS makes every effort to ship your order the same or next business day. Shipping charges are added in real time while placing the order on the order screen. Rates vary accordingly with the method of delivery you select. Ups ground shipments inside the U.S. usually take 2-6 business days depending how far from Texas you are. The chosen Shipping Method (i.e. Next Day, 2ND DAY or 3 DAY) applies to the date your order is ready to ship, not from the date your order is placed. SWPS makes every effort to ship your order the same or next business day. If your shipping total is $0.00 shipping charges will be added at the time the order ships. 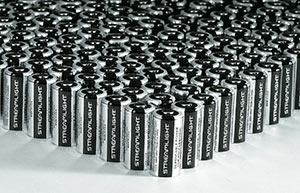 NOTE: All APO and FPO shipments will have USPS charges added to the order at the time of shipment. PAYPAL customers, please note that when you pay for your order using PAYPAL services, it is an instant transaction, just like a wire transfer. The funds are sent at that time, not billed at a later date. NOTE: Orders with multiple large items may not be able to have shipping charges added in real time, a sales rep will email you a revised copy of the invoice prior to shipping the order for your approval. Note that US orders from Hawaii and Alaska must ship next day air, second day air, or UPS Ground please choose from one of these three methods of shipment to ensure that you know the shipping charges when you place your order online, otherwise we will adjust to ground shipping and add the charges to the order at the time of shipping. Please be sure your address is correct and any and all delivery information such as Apt. or Ste. # is on the address. Missing or incorrect information will result in the delay of delivery and are subject to an $11.00 re-routing fee charged by UPS. Billed via SWPS.com. In the event you made an error on the address the package can be picked up at your local UPS center at no additional fee, or re-routed for delivery for the $11.00 fee. Southwest Public Safety uses a SECURE online credit card verification system that requires the customer to provide the actual billing address for the credit card used to pay for your order. Your order will not ship unless the billing address matches what is on file with your credit card company. Typically the billing address is the address that your credit card statement is mailed to. Southwest Public Safety will not ship your order to a different address other than the billing address without an explanation. If you need the order to ship to a different address other than the billing address please provide the reason for this in the comments field on the order screen. Southwest Public Safety does not ship any orders outside of the United States. Purchase orders are for Government Municipal orders only, no exceptions. Individual or civilian orders must be paid via credit card or Pay-Pal. Please fax or e-mail to 210-590-9482. Once the order is processed, SWPS will send you an order confirmation email with the UPS tracking information, so you can always track your shipment. Note that an adult must sign for all packages. No exceptions. If you order an item that is out of stock, Southwest Public Safety will ship the backordered item in a timely manner. If you have a question about a backordered item feel free to call and check on the status of your order.